Some of our favorite rooms are in a constant state of reorganization. Before organizing your kitchen and bathrooms consider lining the shelves to give them a fresh, clean look. At Ace, we carry a great selection of drawer and shelf liner paper that provide both style and function. Shelf liner paper adds a layer of protection to your shelf surfaces saving them from the normal wear and tear of daily use. Lining your shelves can even prevent damage from harsh chemical spills and water stains that can gradually warp your shelves over time. While there are a wide variety of shelf liners available, most come with adhesive backing. However, because adhesive shelf liner can be difficult to remove once applied non-adhesive liners solutions are available as well. Non-adhesive liners are generally made from PVC and have a non-slip quality with a mesh texture. These non-adhesive liners are easy to move and replace and are becoming more popular drawer liner solutions. Most shelf and drawer liner paper are sold in rolls, allowing users to cut to the desired amount. Rolls come in a variety of widths and lengths. Installation of paper is fairly simple, but it’s recommended to take your time with careful measuring for best results and to maximize the use of your roll. 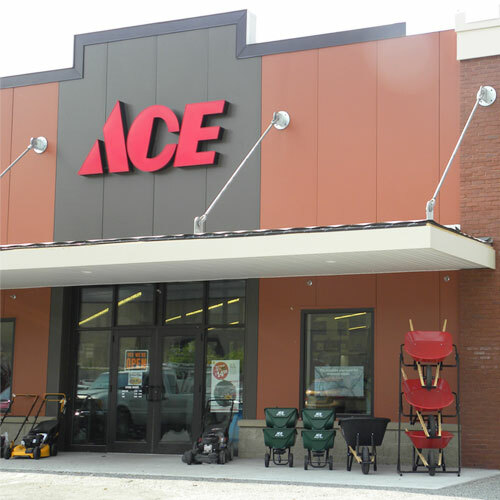 Visit your local Ace to see the variety of shelf liners available.